As recently announced by Agustin Mango at The Hollywood Reporter, Adrián Saba's opera prima The Cleaner (El Limpiador, 2011) will be Peru's submission for the foreign language Oscar® category. 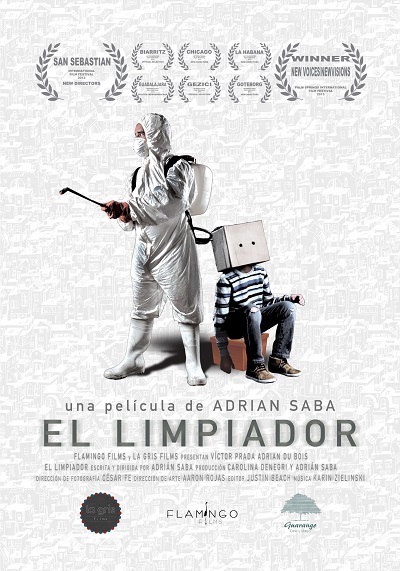 The announcement was made this week by Peru's Ministry of Culture, whose selection committee stated The Cleaner was chosen "for its original proposal of an apocalyptic Lima, where loneliness and strain are shown through an effective use of cinematographic elements, expressing a city that slowly fades out." The Evening Class congratulates Adrián Saba on this achievement! As synopsized by Robert Avila in his program note for the 56th edition of the San Francisco International Film Festival (SFIFF): "As a mysterious epidemic eviscerates Lima's adult population—but spares its children—a solitary middle-aged forensic worker discovers an orphaned boy at one of his cleanup sites and decides to shelter the traumatized youth until he can find a relative to take him. As time passes, a subtle transformation takes hold of both man and child in this gently haunted and affecting study of social alienation and redemption." As Michael Hawley presciently suggested in his capsule review—while he can't be sure how, or even if, Saba's film is commenting upon contemporary Peruvian society—"it's clear that his distinct voice is one we should be hearing more of in the future." The film has certainly gained pedigree on the festival circuit. It first came to my attention at the Palm Springs International Film Festival (PSIFF) earlier this year, having already received a New Directors Award Special Mention at its San Sebastián premiere. It ended up winning the New Voices / New Visions Grand Jury Prize at PSIFF 2013 where the jurors remarked: "While it is set in the midst of a deadly epidemic, this film eschews the usual genre tropes and instead offers an aesthetically distinctive, minimalist portrayal of a human connection at a time when it seems all hope is lost. The director creates an eerie, strangely calm atmosphere which is carefully controlled but never feels forced, and without sensationalism or overt sentiment, allows a touching bond to develop between his lead characters, a lonely old man and a young boy. With The Cleaner, Adrian Saba has created a singular, unusual and intimate tale which stayed with us long after viewing." 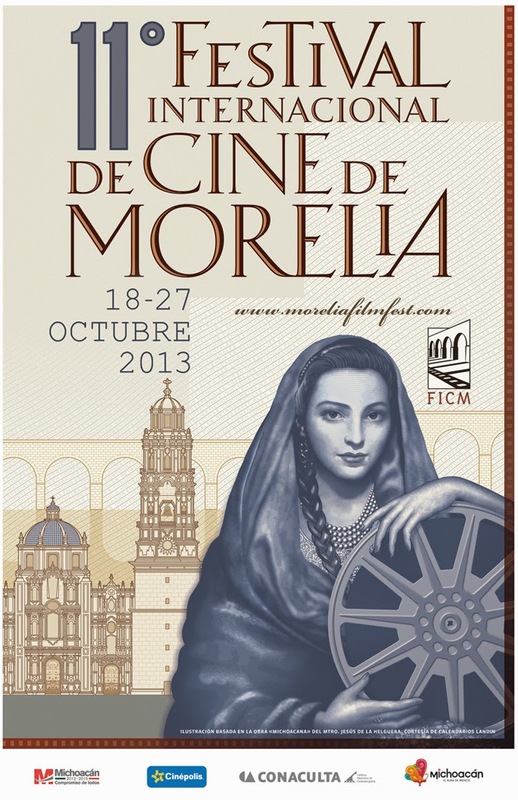 To celebrate my 60th birthday, I'm giving myself the gift of the Morelia International Film Festival (FICM), which runs October 18-27, 2013. As my abuelo's side of the family is from Michoacán, I am tremendously excited to return to roots and to visit a city that has long been on my list of dream destinations. I am grateful to FICM for their invitation. Here is the recently-announced line-up for their 11th edition. The core of the FICM continues to be the sections in competition: Michoacán Section, Mexican Short Film, Mexican Documentary and Mexican Feature Film. This year, the lineup features 43 short films, 23 documentaries, 11 Michoacán works and 12 features by filmmakers from different states of the country, including Oaxaca, Baja California, Veracruz, Guerrero, Puebla and Mexico City. The winning fiction, documentary and animated short films will be eligible to be considered for an Oscar® nomination. This year, the Mexican Feature Section includes: A los ojos by Michel and Victoria Franco; Club Sándwich by Fernando Eimbcke; González by Christian Díaz; Las horas muertas by Aarón Fernández; Los insólitos peces gato by Claudia Sainte-Luce; La jaula de oro by Diego Quemada-Diez; Manto Acuífero by Michael Rowe; Paraíso by Mariana Chenillo; Penumbra by Eduardo Villanueva; Somos Mari Pepa by Samuel Kishi Leopo; La vida después by David Pablos; and Workers by José Luis Valle González. The members of the International Jury of the 11th edition of the Morelia International Film Festival are: Chris Fujiwara, director of the Edinburgh International Film Festival; Hélène Auclaire, director of the film department of Critics' Week at Cannes; Zita Carvalhosa, director of the Sao Paulo International Short Film Festival; Fred Kelemen, acclaimed German director and cinematographer; Karen Cooper, director of the Film Forum of New York; Mirsad Purivatra, director of the Sarajevo Film Festival; Monika Wagenberg, director of the Cartagena International Film Festival; Maria de Medeiros, well-known Portuguese actress and director; and Todd McCarthy, top critic at The Hollywood Reporter. One of the special programs featured at the 11th edition is the presentation of films from Critics' Week of the Cannes Festival 2013: Le Démantèlement (The Dismantling) by Sébastien Pilote (Canada); Los Dueños by Agustín Toscano and Ezequiel Radusky (Argentina); For Those in Peril by Paul Wright (UK); The Lunchbox (Dabba) by Ritesh Batra (India, France, Germany); The Major by Yuri Bykov (Russia); Nos héros sont morts ce soir by David Perrault (France); and Suzanne by Katell Quillevere (France). Each year FICM honors an important figure in Mexican cinema who was born in the state of Michoacán. 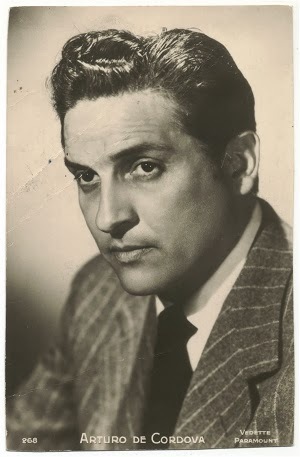 At this edition, thanks to the invaluable support of the UNAM film archive, Pepe Díaz and the Fundación Televisa, the festival will pay tribute to celebrated writer José Rubén Romero, with a screening of his films The Useless Life of Pito Pérez (1944) by Miguel Contreras Torres and Rosenda (1948) by Julio Bracho. This year, the festival will screen a selection of about 40 premieres of the best in national and international cinema. Among the Mexican premieres are: Espectro by Alfonso Pineda; Guten Tag, Ramón by Jorge Ramírez Suárez; Pares y Nones by Gregorio Carillo Vázquez; and Yvy Maraey by Juan Carlos Valdivia. 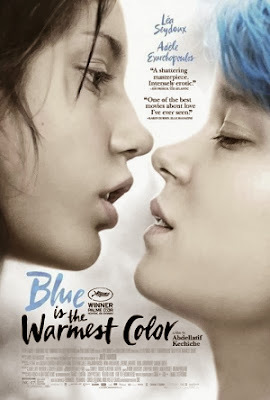 The films that will have their international premieres at the festival include: Amor Índigo by Michel Gondry; Behind the Candelabra by Steven Soderbergh; Blue Is the Warmest Color by Abdellatif Kechiche, winner of the Palme d'Or at the Cannes Festival 2013; Blue Jasmine by Woody Allen; The Grandmaster by Wong Kar Wai; Jeune et Jolie by Francois Ozon; Inside Llewyn Davis by the Coen brothers; The Selfish Giant by Clio Barnard; and The Counselor by Ridley Scott, which will be the closing film of the festival. In addition, there will be a special screening featuring one of the favorite films of the year, About Time by Richard Curtis. In this edition, thanks to the support of HSBC, the First Nations Forum will be presented, in addition to a special screening of the documentary H2O. Following the excellent suggestion by French director Bertrand Tavernier, special guest at the festival in 2007, the program "Imaginary Mexico" will be offered for the 6th consecutive year. This program includes films that show Mexico, its culture and traditions, through the eyes of foreign filmmakers. In this edition, to celebrate the 100th anniversary of the birth of actor Burt Lancaster, there will be a screening of his films, with the presence of his daughter Joanna. This year, thanks to the support of the UNAM film archive, Fundación Televisa and Alex García, there will be a retrospective of the works of the great Mexican actor Arturo de Córdova. This tribute will be the first since his death 40 years ago. In addition, a public exhibition will be held at Plaza Benito Juárez. 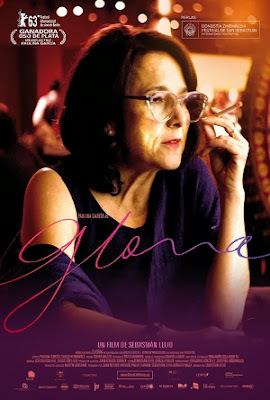 Thanks to the support of Women in Cinema and Television and Grupo Rosa Mexicano, the festival will pay tribute to the careers of the great actress Carmen Montejo and the producer Luciana Cabarga, with the screening of the films En la palma de tu mano (1951) by Roberto Gavaldón and El mes más cruel (1969) by Carlos Lozano Dana. 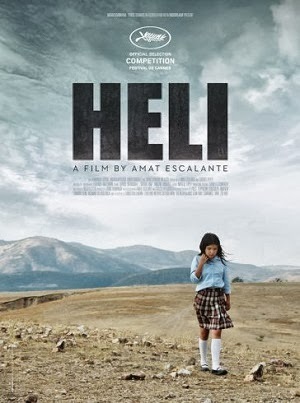 To celebrate its 15 years of existence, the Mantarraya production company will have a special screening of Heli by Amat Escalante, who received the best director award this year at the Cannes Festival. In addition, Amat Escalante will be awarded the Premio Cuervo at the 11th FICM. Thanks to the support of the Filmoteca Española, a showing of the films by Spanish filmmaker Edgar Neville will be presented, with special screenings of La torre de los siete jorobados (1944) and Duende y misterio del flamenco (1952). Thanks to the support of the UCLA film archive, the festival will present a special screening of Daughters of the Dust by U.S. director Julie Dash. Thanks to the support of the French Embassy, the festival will have the special program Jean Vigo Prize at the festival, in which this year's winning film L'enclos du temps by Jean-Charles Fitoussi, will be shown. At the same time, in collaboration with the Goethe Institute in Mexico, the festival will feature Lore by Cate Shortland and Oh Boy by Jan Ole Gerster, in a special screening of German film. The festival will also feature a program of Czech films that include Closely Watched Trains, Daisies and Love of a Blonde. This year, there will be a selection of short films to commemorate the 50 years of the CUEC-UNAM film school. The extraordinary film Gravity by Mexican director Alfonso Cuarón will be screened at the opening night ceremony of the 11th edition, an event that will take place on October 18 at the Cinépolis Morelia Centro. This year, the festival is privileged to have as its guest of honor Alejandro Jodorowsky, who will present a series of his films, including the Mexican premiere of his new work, La danza de la realidad. In this edition, French director Bruno Dumont will present the Mexican premiere of his acclaimed new film Camille Claudel 1915, and U.S. director John Sayles, along with actor Edward James Olmos, will introduce their latest film Go For Sisters. Also present at the festival will be: Anamaria Marinca, Romanian actress who will present the film Europa Report by Sebastián Cordero; Francesca Gregorini, who will present her film Emanuel and the Truth About Fishes; Sebastián Lelio, Chilean director who will present the multi-awarded film Gloria; Catalina Sandino, Colombian actress who will present the film Medeas by Andrea Pallaoro; François Dupeyron, French director who will present his new film Mon âme par toi guérie; and Jim Mickle, who will present We Are What We Are, a U.S. adaptation of the Mexican film Somos lo que hay by Jorge Michel Grau, who will also be in Morelia. The festival announces the inclusion of an award for Best Actress and Best Actor in the category of Mexican Feature Film. 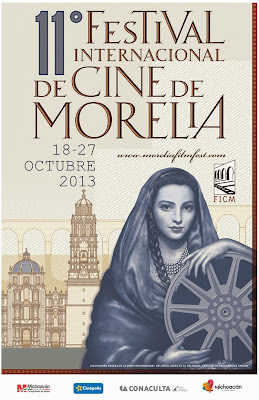 The venues for the 11th edition are the Cinépolis Morelia Centro and Cinépolis Las Américas. In addition there will be free screenings at the Casa Natal de Morelos, the Aula Mater del Colegio de San Nicolás de Hidalgo, la Plaza Benito Juárez and conferences at the Teatro José Rubén Romero. For the 9th consecutive year, the festival will also extend its program to Pátzcuaro, offering daily screenings at the Teatro Emperador Caltzontzin. Roxie Releasing is proud to present the U.S. theatrical premiere of Inuk (2010), a coming-of-age drama directed by Mike Magidson. Inuk will open in San Francisco at the historic Roxie Theater on September 27. A national release will follow after the turn of the year. 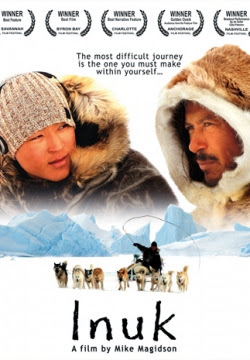 Co-written by Magidson, Ole Jørgen Hammeken (who stars in the film), and anthropologist Jean-Michel Huctin, Inuk premiered theatrically in Greenland in May 2011, becoming a major commercial success, selling more tickets in its home country than such American blockbusters as Avatar or The Twilight Saga. It went on to become a winner of multiple international film festival awards (including Best Film, Director and Editing at the Savannah Film Festival), as well as being chosen as Greenland's Oscar® submission in 2012. In that capacity, I caught the film as part of the Awards Buzz sidebar at the 2013 Palm Springs International Film Festival, where it sold out every screening and was included in Best of the Fest. Inspired by the "Children's Home Uummannaq" situated 500 km north of the Arctic Circle in the small town of Uummannaq, Inuk covers a journey from Greenland's south to its north as an homage to the origins of the Inuit people. The story concerns troubled 16-year-old Inuk (played as a teen by newcomer Gaba Petersen), who witnesses his father's death in a tragic dog-sledding accident. Raised in the south in Greenland's capital Nuuk by his increasingly alcoholic mother and a violent step-father, Inuk becomes cut off from his former life in the wilds. One morning, after pulling the half-frozen boy out of an abandoned car, social services sends Inuk north to a foster home on a tiny island in the middle of the Arctic sea-ice, where Inuk swiftly becomes delinquent and unruly. His foster guardian and teacher, Aviaaja (Rebekka Jørgensen) pairs him up with bear hunter Ikuma (Ole Jørgen Hammeken) so that he may learn wisdom. The taciturn hunter's attachment to the land and knowledge of traditional ways offers a glimpse of a different life for the troubled teen. But Ikuma himself is suffering self-doubt after his own world begins to decline due to the effects of global warming. Harnessing the dogs, the odd couple embarks on a seal-hunting expedition—a visceral sequence handled with style and verve by Magidson—and Inuk comes face-to-face with his past and reawakens the old injury that has affected Ikuma's life. Despite the bitter cold and their treacherous surroundings, the most difficult journey they both must make will be the one within themselves. With stunning cinematography by Xavier Liberman and Franck Rabel, shot on the sea ice in sub-zero polar temperatures, Inuk features performances by teenagers from the Uummannaq Children's Home, all playing roles close to their real lives. Created as an original road-movie on a sea of ice, Inuk is both an authentic story of Greenland today—a country torn between tradition and modernity—and a universal story about the quest for identity, transmission and rebirth after the deepest of wounds. Unfortunately, I watched Inuk at the Palm Springs International on screener on my laptop after fortuitously meeting Ole Jørgen Hammeken and composer Justin Michael La Vallee in the press lounge. My schedule didn't allow me to watch the film's final PSIFF screening and I didn't have the chance to meet director Magidson. I hoped even then that an opportunity might arise in the future where I could view Inuk on screen in-cinema. When it didn't show up at the San Francisco International, I thought I had missed my chance; but, the Roxie has redeemed all regrets. In retrospect, I feel honored to have met Hammeken who plays the hunter Ikuma who—along with Inuk—has had his heart frozen by loss. Both stare at the world with eyes of ice. How the two find each other and heal each other through traditional Inuit ways is the driving momentum of this classic coming of age tale, bolstered by breathtaking austere landscapes, wonderful footage of dog teams at work, and a soundtrack that mixes modern and ancient melodies to atmospheric effect. Hammeken advised he wasn't originally considered for the role of Ikuma, admitting he was not truly a hunter, even though familiar with dog sledding through expedition work. The hunter that was originally cast to play the role of Ikuma had to drop out of the project because hunting season started and his priorities were firm: hunting took precedence over filmmaking. As the bristly Ikuma whose eyesight (and confidence) are failing, troubled by the loss of his son, Hammeken delivers a pitch-perfect performance. When I teased him that he would now become the go-to actor for future Greenlandic productions, he laughed and said no, no, that would not be the case, though he has been working on securing footage of his northern expeditions and, undeniably, has enjoyed traveling the world accompanying Inuk, most recently to Seoul, South Korea. Hammeken and I swapped expedition stories; he in Greenland, me in Central America. I admitted how I don't much like ice and snow and vividly recall his smiling reaction—ice, after all, comprises the Inuit soul—but, after seeing Inuk, nothing would be more of an adventure than accompanying Hammeken on one of his expeditions. I’ve only seen Greenland from the air on transatlantic flights, but recall it being beautifully blue from high above. How wondrous it would be to experience it from a dog sled! To see shadows shift across the ice as in one particularly memorable sequence in Inuk. 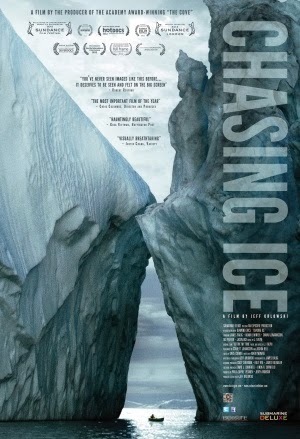 We discussed the documentary Chasing Ice. He knew some of the people involved in that project. We both expressed disbelief that there are still those—in the face of surmounting evidence—who disclaim global warming. He has seen firsthand how the ice is going “bad.” For him it is dramatic, definitive evidence. He wonders if Americans can possibly comprehend? Only by degrees, I responded. It’s now official: 2012 was the hottest year in American history, by one degree. And look at all the damage that caused! My fingers have been crossed that Hammeken and I might have the chance to cross paths again, and it will be a delight to finally meet the film’s director, Mike Magidson, who will be present for a Q&A after the film’s first screening. This proves a poignant homecoming as Magidson is originally from the Bay Area, born at the height of the 1967 “summer of love” in Oakland, California. 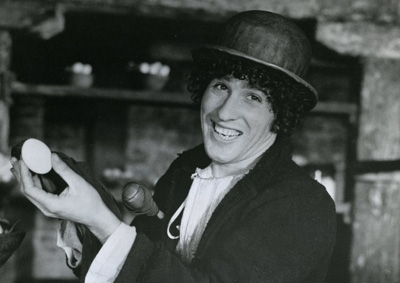 After getting a college degree, Mike immediately set off to Los Angeles where he was cast in a series of small theatre productions. Unable to pay his rent with his modest actor fees, Mike took a job as an apprentice editor with one of Hollywood’s top ranked trailer producers, Intralink Film Graphic Design, where he began to dream of a career as a filmmaker. Following his heart and a strong curiosity for French culture, in 1992 Mike packed up a suitcase, and moved to Paris, France. After several years editing for such reputable directors as Pan Nalin, Antoine de Maximy, and Jean-Michel Carré, in 1998 Mike borrowed a friend’s camera and made his first award winning documentary, Kanada. Eleven years later, Mike has written and directed over twenty documentaries and shorts. 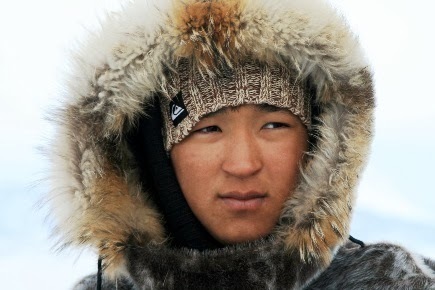 Inuk is his first feature-length narrative film. I envy anyone their first viewing of Pier Paolo Pasolini's Il Vangelo Secondo Matteo (The Gospel According to Matthew, 1964). Hopefully, that first viewing will be in-cinema with a 35mm print so that the film's defamiliarizing visuals can achieve their full and intended impact. My first viewing was at home on DVD screener, yet—even as such—I was tremendously impacted by this film, thrown off by it you might say, and it has lingered with me weeks afterwards. I eagerly anticipate a second viewing tomorrow when a restored 35mm print of Matthew screens at Berkeley's Pacific Film Archive (PFA), as part of the Bay Area's multi-venue tribute to Pasolini. As Judy Bloch has written in her PFA program note: "What was seen in 1964 as a daringly direct, almost reportorial account of the Gospel of St. Matthew, set against the everyday life of the times, today looks like a radically stylized classic. Pasolini employed a cast of nonprofessional actors, and settings of rugged Southern Italian landscapes and hill towns, shot with a mixture of cinema-verité techniques, expressive close-ups, and ingenious set pieces. 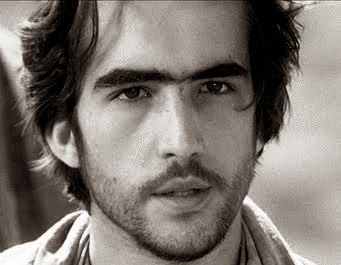 His Christ (Catalonian economics student Enrique Irazoqui) is an anguished and determined revolutionary, setting children against their parents as he has turned against his, a peripatetic preacher against the afflictions of social injustice. (He has an artist's ego: 'Only in his own country, a prophet goes unhonored.') His miracles are as matter-of-fact as Pasolini's pageantry is gritty. 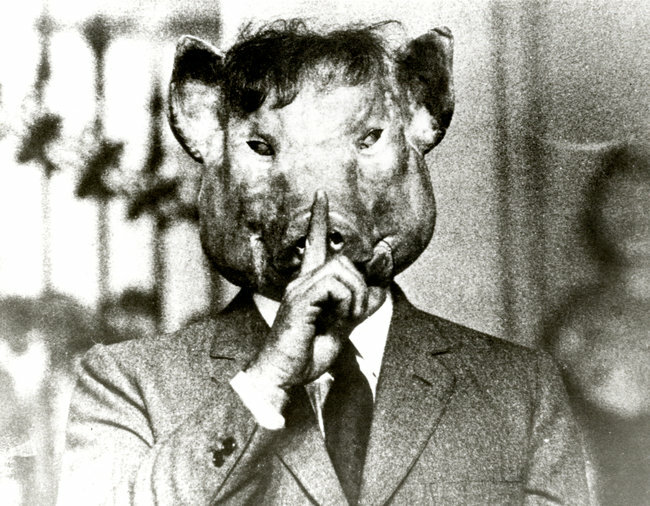 The faces Pasolini has chosen are those of the rural proletariat, but they evoke parallels with Italian religious art; similarly, the music is a mixture of black spirituals, the Missa Luba, and Bach." 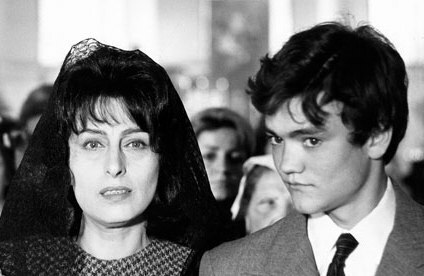 The story goes that the idea to make a Passion film came to Pasolini in October 1962 during the Pope's visit to Assisi. The filmmaker was trapped in a hotel room and had nothing better to do but read a copy of the Bible. He found the text incredibly rich and decided to bring it to the screen. Pasolini dedicated the film to Pope John XXIII, who turned around centuries of Christian anti-Semitism with the Second Vatican Council. 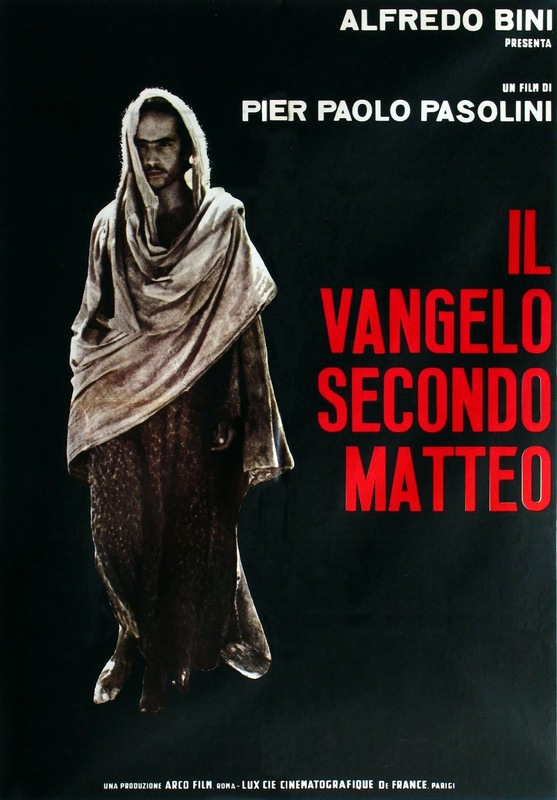 Matthew premiered in competition at the 1964 Venice Film Festival, where—according to John Wakemen, editor of World Film Directors Volume 2: 1945-1985—crowds had gathered prepared to boo Pasolini. He had scandalized Catholic sensibilities a year earlier with his short film La Ricotta—deemed contemptuous of the state religion—earning him a conviction and a four-month jail sentence. Instead, the film was awarded the OCIC Award and the Special Jury Prize, audiences cheered, and his conviction was voided by an appeals court. 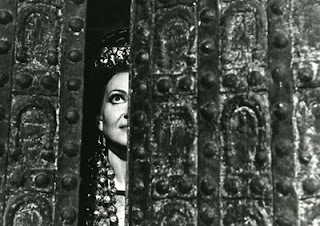 Matthew went on to have a robust festival run, opening theatrically in the United States in 1966, receiving three Oscar® nominations for Art Direction (Luigi Scaccianoce), Costume Design (Danilo Donati), and Score (Luis Enriquez Bacalov). 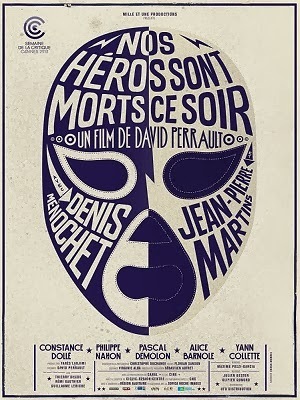 As Roger Ebert pointed out, along with right-wing Catholic groups who picketed the film, "the French left was as outraged as the Italian right, and Sartre met with Pasolini, telling him somewhat obscurely, 'Stalin rehabilitated Ivan the Terrible; Christ is not yet rehabilitated by Marxists.' "
As Matthew approached the U.S., anticipatory reviews were more consistently enthusiastic. 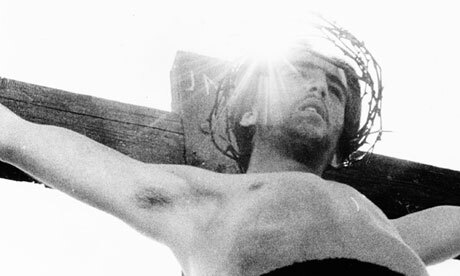 Writing for the Autumn 1965 issue of Film Comment, Maryvonne Butcher asserted: "In my opinion, The Gospel According to Matthew is incomparably the most effective picture ever made on a scriptural theme." Veteran British critic Alexander Walker likewise proclaimed that Matthew "grips the historical and psychological imagination like no other religious film I have ever seen." Nearly 40 years later, Roger Ebert concurred: "Pasolini's is one of the most effective films on a religious theme I have ever seen, perhaps because it was made by a nonbeliever who did not preach, glorify, underline, sentimentalize or romanticize his famous story, but tried his best to simply record it." 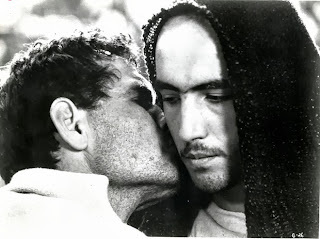 Reporting from the New York premiere for The New York Times, Bosley Crowther praised the film's "flinty" language, naturalistic sense of place, Pasolini's "remarkable avoidance of clichés", and the surprisingly memorable performances of his unskilled actors. As summed up by The Virginia Pilot, Pasolini's film suffered "no starched laundry." A critical overview of The Gospel According to Matthew requires attention to the sequential waves of criticism reacting to the film: the first wave in the mid-'60s, as stated above, when the film premiered at festivals and during its early theatrical life. 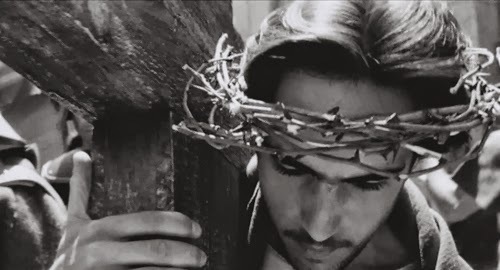 The second, nearly 40 years later, occurred in the wake of the controversy elicited by Mel Gibson's The Passion of the Christ (2004), which inspired reviewers to make comparisons with the existing canon of films depicting the life of Christ, including Pasolini's. One might argue that this seeming necessity emerged as a very good moment indeed for Pasolini's Matthew to be rediscoverd, revisited and re-appreciated, not only comparatively, but on its own terms (which—let's face it—shouldn't have required Gibson's folly). Of the reviews comparing Gibson with Pasolini pro and con are Kenneth Turan's for the L.A. Weekly, Roger Ebert for his site, Christopher C. Fuller, Ph.D. for The Society of Biblical Literature (interestingly analyzing fidelity to source in both films), Russell Hittinger and Elizabeth Lev for First Things, and Stefano Ciammaroni for Reverse Shot. Ebert provides, perhaps, the most trenchant comparison: "To see the film a few weeks after seeing Gibson's is to understand that there is no single version of his story. It acts as a template into which we fit our ideas, and we see it as our lives have prepared us for it. 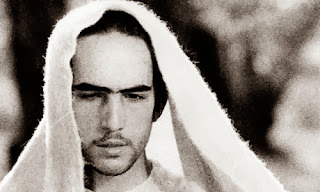 Gibson sees Christ's suffering as the overwhelming fact of his life, and his film contains very little of Christ's teachings. 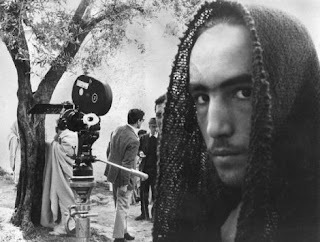 Pasolini thought the teachings were the central story. If a hypothetical viewer came to The Passion with no previous knowledge of Jesus and wondered what all the furor was about, Pasolini's film would argue: Jesus was a radical whose teachings, if taken seriously, would contradict the values of most human societies ever since." Of course, as Pasolini's films began to be shown in institutional retrospectives, regional critics responded. By way of example, when Matthew screened as part of the Harvard Film Archives' September 2010 retrospective, Peter Keough wrote of Pasolini's "perverse poetry" at The Phoenix: "Although Pasolini remains faithful to the original text, his Christ … stirs crowds like a revolutionary, and the Marxist subtext couples with a meditative stillness that builds to an epiphany. Everything, including miracles, occurs with blunt literalness but also shimmers with immanence. And so the blunt Crucifixion and the threadbare Resurrection pierce ideology and open into something deeper." 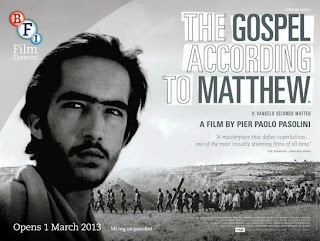 In 2012, Masters of Cinema released Matthew on DVD/Blu-Ray, initiating a fresh suite of critiques, several which were profiled by David Hudson at his Daily (then at MUBI), including Philip French's Guardian review and David Jenkins at Little White Lies, let alone a sizeable earlier quote from Martin Scorsese regarding Pasolini's influence on his own The Last Temptation of Christ (1988). To Hudson's list, I might add the write-up at Covey on Film, which is refreshingly informed as to the historical context of the gospels, particularly the Gospel of Matthew, allowing Covey to more fully recognize the artistic license Pasolini took filming particular passages. The challenge of creating a dramatic narrative while adhering to a verbatim text is astutely analyzed, and questions regarding Pasolini's reasons for stylizing and/or omitting the gospel's five sermons are intriguingly raised. Perhaps most importantly is when Covey questions Masters of Cinema's "misplaced emphasis" on changing the English title from its previous cinematic releases by removing the "Saint" honorific, thereby restoring the film to its original Italian title. 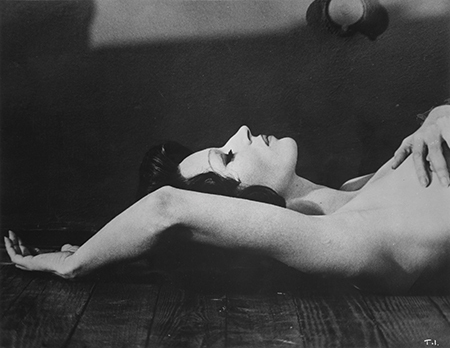 Apparently the addition of "Saint" during the film's U.S. distribution caused Pasolini "considerable anguish." Pasolini's personal wishes aside, Covey suggests it's all much ado about nothing considering most "scholars, Christian and not, have recognized since the 1600s that Matthew wasn't the author at all. The fact that it is an anonymous text did not keep it from being associated, from a very early date in Christian tradition, with one of the first apostles, but the fact is, calling the author 'Matthew' is really just a convention, in textual history terms." Notwithstanding, I follow Master of Cinema's impetus to honor Pasolini's wishes. A third wave of critical appreciation—this one having more the feel of a tsunami—attends the touring retrospective of remastered 35mm prints (currently at Berkeley's Pacific Film Archive). When the films screened earlier this year at the British Film Institute, Geoff Andrews considered the challenges of making a plausibly religious film. "Just as prayer is hard to get right in a movie," he writes, "so too are most things to do with faith and notions of divinity. …Even with the magic of cinema, miracles and visionary epiphanies often come across as incredible, simply because we know how editing, special effects and film artifice in general are so often devoted to deceiving the eye. And then there's the perennial question of how to represent holiness: too often it comes down to the clichés of dramatic backlighting and filters, a soaring, saccharine choral score and actors behaving in a way which seems so angelically distracted that they barely feel human at all. Perhaps that's why the films which depict divinity, spirituality or religious faith most persuasively are very often those which adhere most closely to a kind of materialistic realism rooted in the physical aspects of existence." Here, of course, Andrews extols Pasolini's specific achievement, earlier cited by Russell Hittinger and Elizabeth Lev as a "relevant Jesus mode" (emphasis added). At The Guardian, Peter Bradshaw categorizes Matthew as a "brilliant and entirely unforgiving neorealist Passion play" that "looks as if it has been hacked from some stark rockface." He adds: "This really is raw film-making, in a political vernacular which speaks of Pasolini's high, theocratic Marxist belief in the sovereignty of the people, like the publicans and the harlots that Christ said understood him. The texture and feel of what's on the screen is abrasive and uncompromising…. A fierce magnesium flame of a movie." "Pier Paolo Pasolini's greatest strength as a filmmaker," writes Vagrant Café, "was his ability to take scenes from canonized literature and transform them into literal images." At the London Review of Books, Michael Wood delivers an eloquent analysis of Matthew's opening scene, first to praise Pasolini's use of the faces of non-actors to tell the story of Matthew's gospel as images—later with images—at which point Wood criticizes the film's impatience "to finish, to run away from a story it now finds crowded rather than interesting." 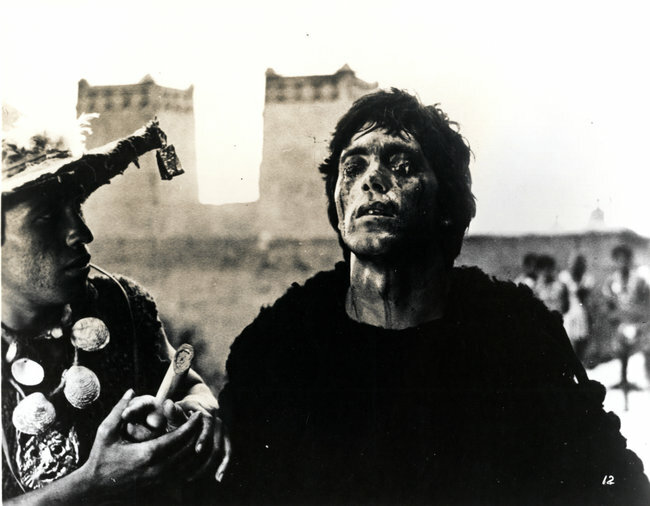 Wood writes that "Pasolini has taken Matthew's jagged narrative and made it into a bleak, Brechtian epic." He grants that Pasolini's portrayal of Jesus is "an impeccable artistic response in the Brechtian sense" (in that it is "a tangible representation of an impossible case") but cautions that this theologically sound disconnect—"this is the son of God, how could he look like anybody, talk like anybody? "—can't be kept up forever. When the disconnect no longer serves its defamiliarizing purpose, Wood complains that "everything lapses into bathos. The film becomes a school nativity play taking itself too seriously. The person who a moment ago had been a vivid but schematic, almost abstract representation of Jesus (or Peter or Judas or Pilate or Mary), a figure in a tapestry say, now seems to have wandered in from a Fellini film, or better, an audition for a Fellini film in its early stages of planning. And we can't even enjoy the effect of the grotesque here, since the austere style doesn't allow it. The figures just seem stranded, real people watching their notional identities walk awkwardly away from them." Also in response to the BFI retrospective, Mamoun Hassan introduced a screening of Pasolini's Matthew to a full house at the National Film Theatre in London on March 8, 2013, and this has been captured on video and offered for viewing at Vimeo. Pasolini's The Gospel According to Matthew is available for mail rental at Netflix, and streaming on Hulu Plus, Amazon, and Fandor. Fandor synopsizes: "The birth, life, teachings and death on the cross of Jesus Christ presented almost as a cinéma-vérité documentary. Pasolini's second feature seemed a strange choice for such a revolutionary director, but it is an attempt to take Christ out of the opulent church and present him as an outcast Italian peasant. 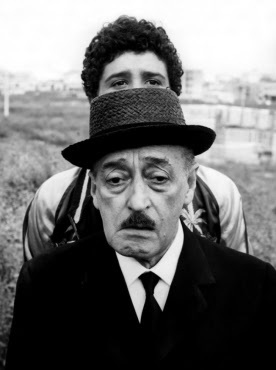 Applying Neo-Realist methods, the director shot in Calabria, using the expressive faces of non-professionals including that of his mother as the Virgin Mary. The Gospel According to Matthew is considered the greatest screen version of the 'greatest story ever told' and this freshly remastered version brings the film to life in a way that has never been seen before." Also at Fandor is Kevin Lee's appreciative video essay "The Gospel Faces of Pier Paolo Pasolini". The trailer for the film is available at YouTube, where the film can likewise be found in its entirety. At the Berkeley Art Museum and Pacific Film Archive CineFiles database, several rare documents on Matthew can be studied. To reinforce the value of accessing the CineFiles database administered by the University of California Berkeley Art Museum and Pacific Film Archive, and following an enthusiastic cue from Jonathan Rosenbaum to familiarize myself with the work of Raymond Durgnat—gradually being collected at a dedicated website-in-progress—I contribute this transcript of CineFile 22270. My thanks to Jason Sanders for sourcing this review to the UK publication Films & Filming, June 1967. Pasolini is an interesting character—a young man of good family who very sensitively immersed himself among Rome's layabouts, a professed Marxist and agnostic who wishes he could share the Christian faith. These contradictions provide good reason for hoping for a film about a Christ which, for once, isn't bowdlerised, paralysed and altogether emasculated by a complacent reverence which in these days of napalm and thalidomide is as useless for Sunday School children as it is for adults. Christianity, when it was young, was a revolutionary religion, even if the revolution was not that of the sword. Pasolini might show Christianity as the faith of those who try to move mountains, not of those who pretend they're not there. The difficulty is perhaps that Christianity is so many-faceted and ambiguous that every Christian meets his own Christ, and a director who doesn't have some sort of personal conviction is going to have immense difficulty making up his mind as to which Christ he means to make a film about—especially as all powerful organizations with different views are going to denounce him as heretical, blasphemous and so on. The prospect of a Marxist Christ is very exciting, especially in view of the current Marxist concentration on "alientation" and other spiritual diseases. 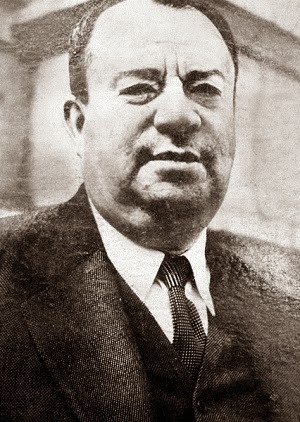 Again, a hard-headed approach to the founder of Christianity might enable the cinema to catch up with the "historical" Christ proposed by Dr. Schweitzer, who erred humanly as well as forgiving divinely; or with the "socio-political" Christ emerging from current studies of the Dead Sea Scrolls and other forms of historical research. Pasolini, understandably, has refrained from embarking on the (immense) complexities of applying Marxist theory to biblical times, or venturing into the furious cross-currents of biblical scholarships. He has explored another way of bringing a rough vigour into the Gospel Story. His "Holy Land" is the Italian countryside; all the actors are non-professional peasants; Christ himself is played by a young Spaniard. The script restricts itself to the St. Matthew's Gospel (which omits certain cherished details), and the resultant storyline gives a rough, raw "cinéma-vérité" effect with which the direction and the photography are also imbued. Thus, at Jesus' trial, the camera peers round from behind heads, which seem to block the view. The visual "transpositions" (of modern Italy for ancient Palestine) have an absorbingly abrasive effect on the overgrowth of the picturesquerie, and a sombre beauty itself sufficient to act as a new commentary on the Gospels. Familiar sayings and exchanges take on a new pith and point in peasant mouths and faces, which relate them to the thinking-style of an oral culture, like that which produced them, rather than to our literate culture: they take on far more sharpness. The St. Matthew Christ is a Christ who harshly curses; and Pasolini's Saviour, though as sensitive and sad as tradition demands, has, also, a quality of inveterate sullenness, of irreconcilable rejection, of the world. He smiles only once, to the children clamouring round him. His sadness has a certain pitilessness which itself is poignant, and without the weak piety of the pre-Raphaelite Christ whose influence has ruined so many films. 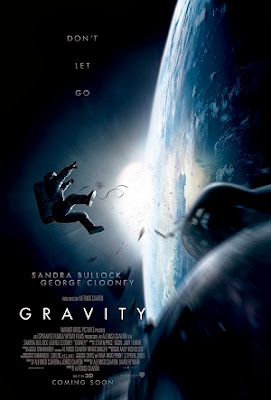 It rings true, frees the imagination and is perhaps the film's profoundest point. After all, Pasolini's Christ is as near the Wild Angels as the swinging nuns of St. Mary's, and that's the only position from which Christianity can begin. The style of playing evokes Bresson (the sermons delivered in a fast, hard, impassive style), and the film is in a sense the spiritual rendezvous of Bresson and Rossellini. Pasolini's "neo-realism" paradoxically results in a major poetic departure. The magnificent settings are visibly in ruins (an effect matched in certain Renaissance paintings), giving a strange pathos and timelessness, while the village-size crowds give a trenchant intimacy to the Jerusalem scenes, too often handled in an emptily spectacular way. In other ways, though, Pasolini makes too many concessions to various conventions. At one moment, a newsreel-style camera—at another, elaborate compositions. The angel of the Lord appears matter-of-factly, but has Botticelli curls. Stylising his "harsh Christ", Pasolini overindulges shots of him snarling as he strides away—remarks which are curiously audible in extreme-long-shot. During the Massacre of the Innocents, little bundles of rags pretending to be swaddled babes are thrown into the air with a curiously unconvincing effect. The priests and the Pharisees have hardly a redeeming feature, so lending a melodramatic tone to the Bible's purely moral opposition. Perhaps Pasolini's best moment is an uncompromising close-up of a hideously disfigured leper, and one holds one's breath as at Buñuel; but the healing gives the game away, switching one's thoughts from Christ to the make-up department. And miraculous healings conclude in expressions of joy which strike one as glib and silly—surely the miraculous is awe-inspiring, even fearful, too. Gradually, in fact, the film capitulates to the conventional reverences surrounding the Christ story. One's interest has to shift to the aesthetic level rather than the spiritual one, and consider each of the various episodes as a challenge to which Pasolini responds—always intelligently, but with varying success. Pasolini's is the most convincing visualisation of how Jesus might have upset the moneychangers in the Temple, and the crucifixion has a horrible casualness, making no concession whatsoever to the greatness of the event, and sharpening the physical anguish through the reactions of a fellow-victim. But the admirable moments are swamped by longish scenes in which Pasolini's "cinéma-vérité" style becomes something of a cover-up for a lack of interpretative trenchancy. Too often the modern peasant faces in archaic clothing suggest nothing so much as a village pageant approach to the Gospel. Pasolini's reliance on landscape is itself a symptom of withdrawal from the real drama. The basic trouble is clearly that Pasolini, having thought of a "sullen" Christ, hasn't much more in the way of spiritual challenge to offer. Devout Christians will no doubt be more moved by it than I, and sentimental ones healthily startled. A half-hour digest might have been overwhelming, but as it is I found myself thinking how much longer to go. Whether or not this is Pasolini's original cut, I don't know (the Venice Festival version was considerably shortened). But, just for the record, it doesn't, as has been said, show Matthew's Gospel fully: notably, omissions include Matthew 19:12, 22:24, 24:29, 26:35, 27:37 and various thoughts and details which I should have thought more important than the (historically dubious) Massacre of the Innocents. The Bay Area's Pier Paolo Pasolini retrospective series begins with a one-two punch this weekend at the Castro and Roxie Theatres in San Francisco, but continues on comprehensively from September 20 through the month of October at Berkeley's Pacific Film Archive (PFA). Senior Film Programmer Susan Oxtoby writes in her preface to PFA's retrospective: "This comprehensive retrospective of the influential Italian director Pier Paolo Pasolini (1922–1975) features brand-new 35mm prints, many of which were restored by Cineteca di Bologna, presented in conjunction with the Pasolini programs at the Castro Theatre and the Roxie Theater on September 14 and 15. "A brilliant artist who was at the center of the intellectual life of postwar Europe, Pasolini enjoyed a multidisciplinary career as a novelist, poet, playwright, actor, painter, polemicist, and filmmaker. No stranger to controversy, scandal, and censure (he was involved in some thirty-three trials during his lifetime! 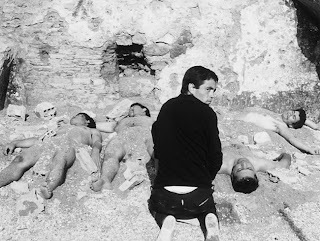 ), Pasolini represented and articulated many critical perspectives: as a defiant homosexual, a non-aligned leftist, a Catholic (who was tried for insulting the church), and a visionary artist. "Pasolini's cinema takes its inspiration from many sources: Renaissance painting, Romanticism, Freudian psychology, Italian neorealism, ethnographic filmmaking, and music—his films share an affinity to musical structures and form. His aesthetic often rebuked traditional film grammar, opting instead for a spirit of experimentation. More often than not, he drew upon nonprofessional actors, casting peasants and urban youths who brought an authenticity and edginess to his narrative films. Behind the camera, Pasolini collaborated with top-notch filmmakers, including cinematographers Tonino Delli Colli and Giuseppe Ruzzolini, costume designer Danilo Donati, and composer Ennio Morricone, often working with the crew on location, be it Syria, Yemen, or the impoverished outskirts of Rome. 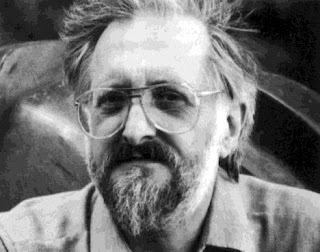 As a poet / filmmaker, he spoke of his 'tendency always to see something sacred and mythic and epic in everything, even the most humdrum, simple and banal objects and events.' "
This series extends PFA's celebration of Pasolini's films from an earlier series mounted in 2007 entitled "The Passion of Pasolini." It bears repeating that one of PFA's often overlooked educational initiatives is Cine-Files, which proves an invaluable resource for providing materials (in PDF format) that help measure critical reception, especially at the time when a film is making its festival rounds and / or first theatrical appearances. What follows are specific pieces from the Cine-Files archives that I've sifted out for not being readily available online. I've likewise arranged these contributions chronologically as an exercise to see how film commentary evolves and builds upon itself over time. Filmoteca Nacional de España's 1976 35-page monograph on Pasolini with contributions from Marc Gervais, Alberto Moravia, Jean A. Gill, Diego Galán, and an interview with Pasolini. Although in Spanish, this document offers some rare photographs as compensation for those who don't speak Spanish. A six-page extract from Paul Willemen's 1977 BFI monograph on Pasolini. A remarkable 58-page retrospective booklet written in 1984 by Pasolini and Donald Ranvaud for the 8th editon of the Hong Kong Film Festival that includes Ranvaud's essay "Pier Paolo Pasolini: Heretical Empiricism or Empirical Heresy? "; Pasolini's essay "The Scenario as a Structure Designed to Become Another Structure"; Pasolini's poem "To A Pope"; Ranvaud's robust program notes for the retrospective titles; and a gallery of early photographs of Pasolini. 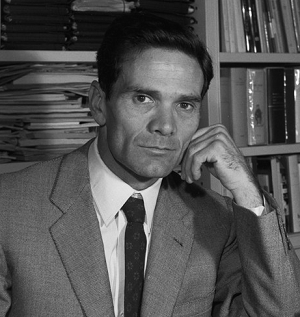 Pasolini's essay "The Scenario...." was first published in WIDE ANGLE. A Film Quarterly of Theory, Criticism and Practice. Editor: Peter Lehman. Vol. 2, No. 1, 1977. Athens International Film Festival / Ohio University Film Department, 1977. His poem "To A Pope" has been posted at Left Turn :: Virage a Gauche. Art Gallery of Ontario's six-page program brochure for the June 1990 Pasolini retrospective, authored by James Quandt. A UCLA Film and Television Archive monograph dated September 27, 1991, entitled Pier Paolo Pasolini: The Eyes Of A Poet, includes a forward by Robert Rosen, then-director of the Archive, an introduction, and program notes. Also, a UCLA Film and Television Archive flyer promoting the early work of Pasolini. 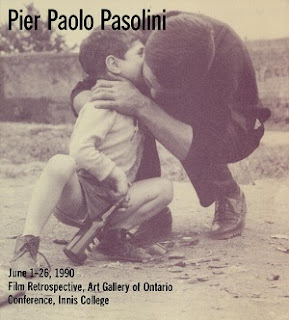 Cinematheque Ontario's Summer 2010 program notes for "Pier Paolo Pasolini: the poet of contamination" offers eight pages authored by James Quandt. Distributor Brandon Films, Inc. provided an 11-page monograph on three of Pasolini's films: Accattone, Gospel According to Matthew, and Hawks and Sparrows. Program note from the 1966 New York Film Festival. Distributor Brandon Films, Inc. provided an 11-page monograph on three of Pasolini's films: Accattone, Gospel According to Matthew, and Hawks and Sparrows. Brandon Films was distributing these films to the American public in the 1960s. Cine-Files also offers an individual 1968 program note. A June 1, 1990 program note by James Quandt for an Art Gallery of Ontario screening. An April 05, 2001 Cinematheque Ontario program note. Author unknown. Milestone Film and Video's 1995 distributor materials are notable for their select quotes from various reviewers and Magnani herself when the film was, in effect, reintroduced to the United States via the championship of Martin Scorsese. Cine-Files also offers a Milestone flyer for the film. Michael Covino's January 20, 1995 East Bay Express review, "Beautiful Losers"
Georgia Brown's January 24, 1995 Village Voice review, "Queens of the city"
Tom Lanham's February 1995 review "I Remember Mamma" for Pulse! 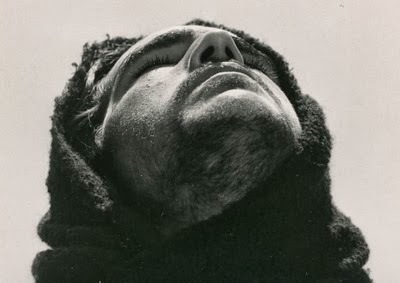 Gordon Hitchen's 1965 Film Comment article "Pier Paolo Pasolini and the Art of Directing"
Time Magazine's February 18, 1966 review, "A Communist's Christ"
The Catholic Film Newsletter's March 24, 1966 study guide to Matthew. Unidentified three-page program note (January 23, 1966), which includes essay "The Story of Tòto At the Circus"
Publicist Larsen Associates put together a four-page press kit for the July 23-August 5, 1993 retrospective "Pier Paolo Pasolini: The Eyes Of A Poet."